The Graf Family would like to thank all of those who volunteered, contributed and attended the First Annual Matt Graf Golf Outing. Everyone’s support made this event a tremendous success. Through your generosity we were able to give a scholarship to a senior baseball player at Pine Richland High School. That player is Zach Grgrus and he will be attending the Rochester Institute of Technology. Someone once said that whatever we possess becomes of double value when we share it with others. So again we thank you for sharing in the benefit with us and hope to see you back next year! 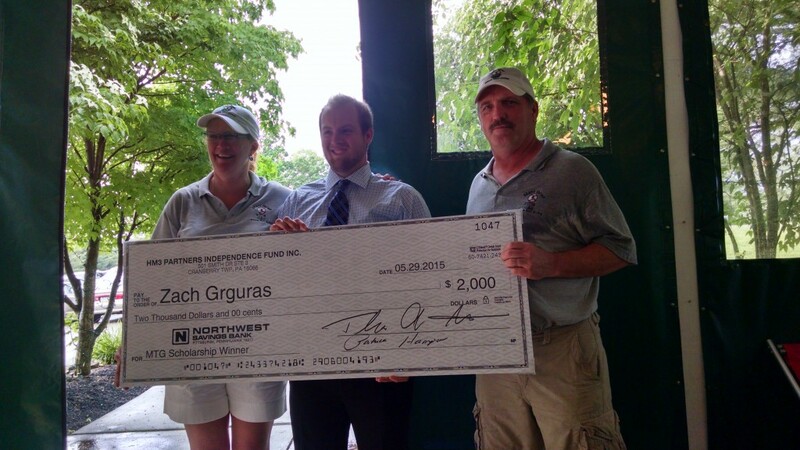 Zach Grguras (center) is the first recipient of the event’s MTG Scholarship Award. Matt had a love of all sports but he had a passion for baseball. The Graf Family would like to have this golf outing in memory of Matt and his love of sports. The money that is raised will go to a PRHS baseball player this year. We hope to have this golf outing annually, and give back to the PR Community and those who have supported us!